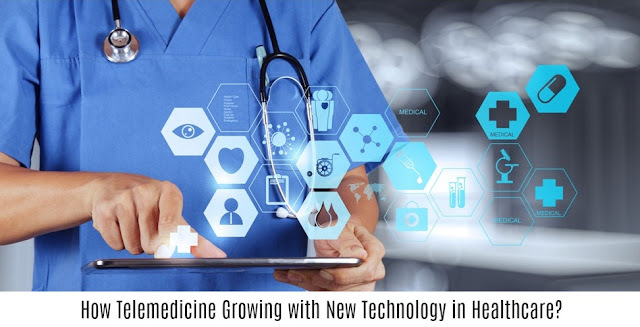 Home / Technology / Telemedicine Growing with New Technology in Healthcare? Telemedicine Growing with New Technology in Healthcare? The use of telemedicine significantly improves the efficiency of healthcare for all parties, including patients and healthcare organizations. Telemedicine is the most time effective type of service delivery simply because patients do not have to take the time to travel to a hospital or clinic. Instead, patients are able interact with their physician in the comfort of their homes, without having to go through the unnecessary hassle of getting to and from the appointment. For those with conditions that make it difficult or impossible to travel without special accomodations, telemedicine is giving these patients the peace of mind that they can receive care without the stress. Time is also saved without the wait that most people dread prior to any doctor's appointment or hospital stay. ● Follow-Up Visits: Instead of having to coming back for an additional follow-up visit, patients are more likely to check in with their physician. ● Geriatric Support: For those in need of assisted living and frequent check-ups, physicians can be on call in case of emergency at a moment’s notice.